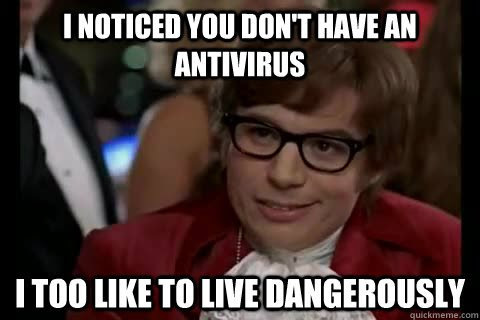 Antivirus, on it's own, has never been enough. That's not to say you shouldn't use it, you absolutely should because it stops a great deal of automated crap that you don't want to have to deal with manually, but it's also dead easy for an intelligent attacker to bypass. 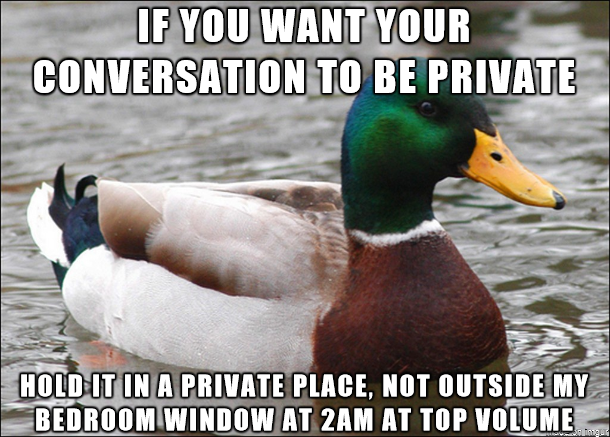 The technology has changed a lot over the years, but our desire for privacy has not. 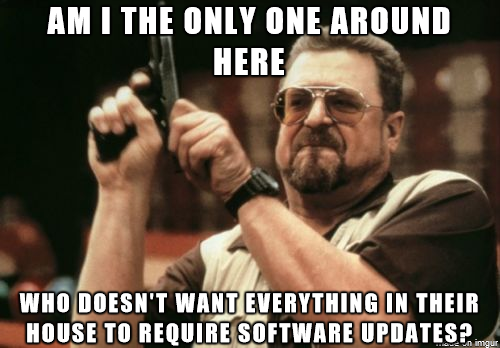 Software update agents are as intrusive and annoying as they are precisely because applying the update is so important. 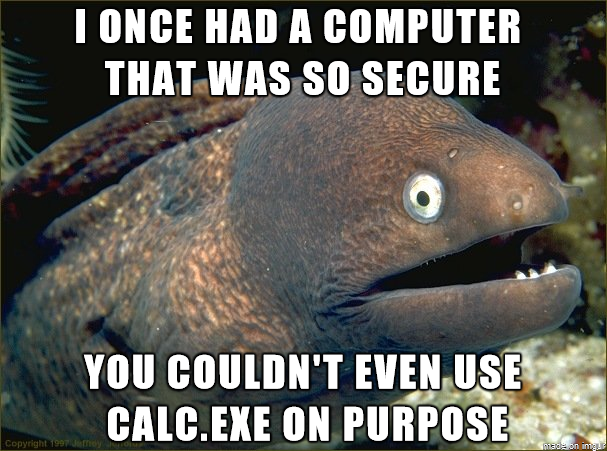 It's a good thing Windows computers had a widely deployed but rarely used executable that exploit makers could use to demonstrate vulnerabilities. 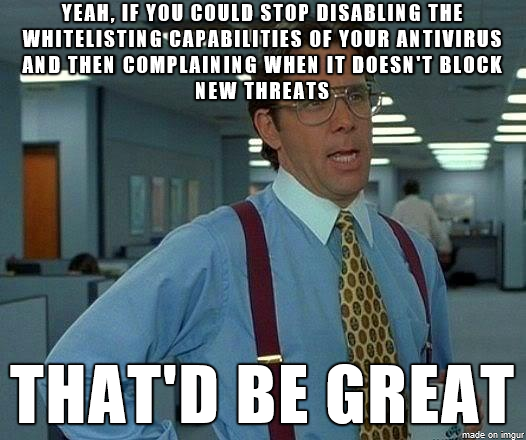 Hopefully no one actually thought they could protect themselves against exploits by blocking it. If one child gate isn't enough, what makes you think two will do the job? Just as a second fence won't stop someone who can get past the first and a second padlock won't stop someone capable of getting past the first, a second child gate isn't going to stop a child that can climb over the first - even if it's on top of the first. Preventative measures don't get stronger by duplicating them, Only with complementary measures do you actually prevent more. 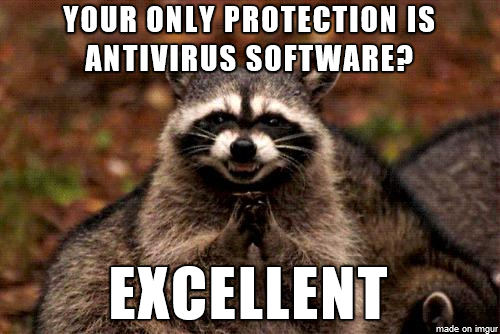 How far ahead of the curve would we be if malware couldn't scare people into making rash decisions? Unfortunately the scareware market and the legitimate anti-malware market feed off of each other (anti-malware vendors sow the fear that scareware makers capitalize on and scareware makers sow the malware that anti-malware vendors capitalize on) and it's hard to break out of a feedback loop when there's money involved. 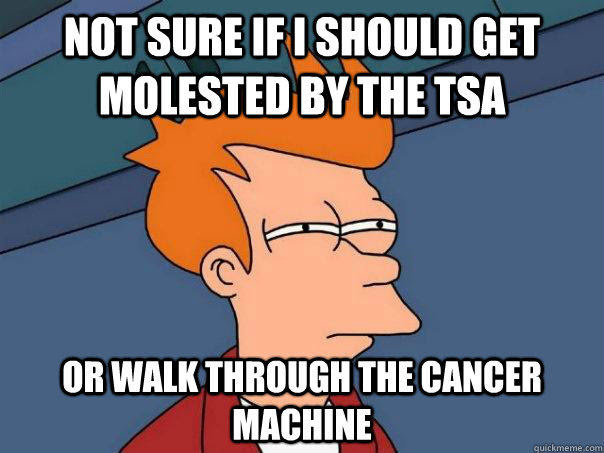 In my experience you may get the molestation no matter what you do, so you might as well avoid the cancer machine as an unnecessary additional indignity. Ever wonder why it is that when searching for a phrase to describe an isolated, disposable environment we settled on the name of a child's play-thing? It's not surprising to me that some people fall for these kinds of scams. What surprises me is that there are some people out there who (upon realizing it's a phone scam) are calm enough to prank the scammers and waste their valuable time instead of confronting them immediately (and angrily). 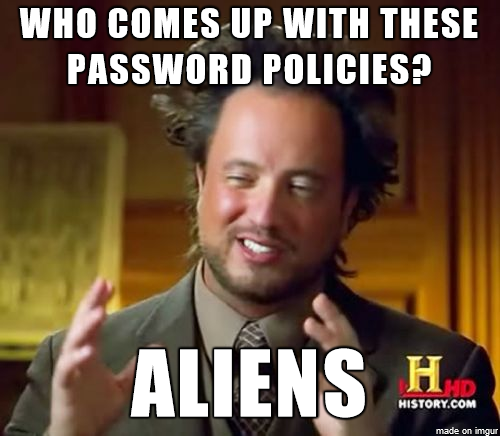 Password policies frequently are so needlessly arcane they might as well be from an alien language. 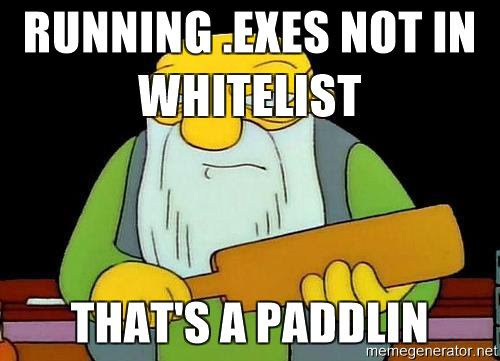 An application whitelist specifies which programs are authorized to execute, so running an *.exe that isn't on the list is expressly not allowed. Generally the whitelisting software will prevent it, but there are always ways of bypassing such things so a policy that prohibits it may also be called for. It's one thing when your computer needs to update, or maybe an app on your phone needs an update, but when your refrigerator and television and light bulbs and toaster and oven and clothes washer&dryer and kettle and water bottle and salt&pepper shakers and toilet and bed and door lock and thermostat and bathroom mirror all need software updates ... that's just way too many things using what precious little bandwidth you have to try and find updates for themselves. And that's not even counting the possibility of bad updates that brick the device. Be careful about participating in social media games that involve revealing personal details. Even if those details aren't your password they might be enough to allow someone to pretend to be you and bypass your password. Babies in suits notwithstanding, I have to imagine that cyber-criminals and traditional criminals have butted heads before, and I have a feeling that cyber-criminals are generally ill-prepared to deal with that scenario. I wonder if any criminal underworld figures have had to deal with ransomware on their TV. Many have families, after all, with all the trappings that entails, so it's conceivable that they become victims to some of the same things ordinary people are victimized by. 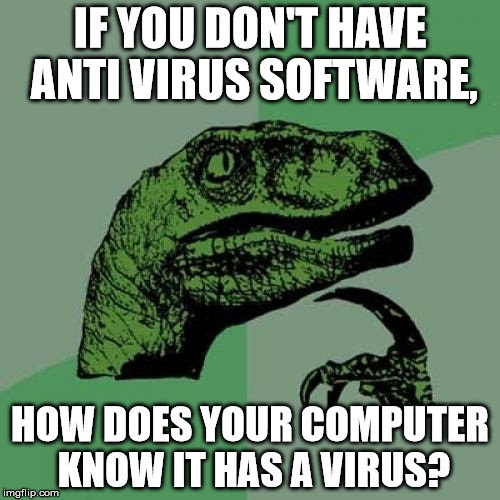 On the one hand, if you don't have an anti-virus you really have no way to know whether you've caught a virus or not. 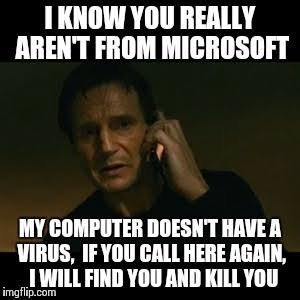 On the other hand, if you don't have an anti-virus you can be pretty sure that message boxes warning you about viruses on your system are fakes designed to scare you into installing something you don't really want. Your privacy is good for you and for me, and I would very much like it if your confidential info didn't intrude into my life. 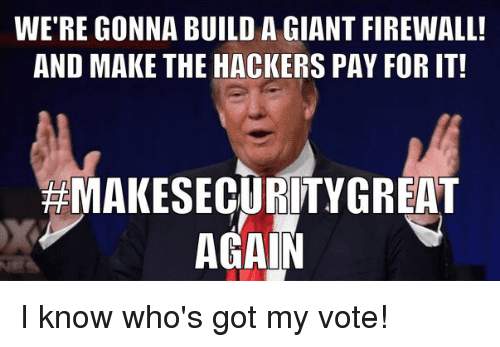 He knows the best hackers. They hacked the election for him, after all. When it comes to failing smart locks, both failing open and failing closed (unlocked or locked) have problem. 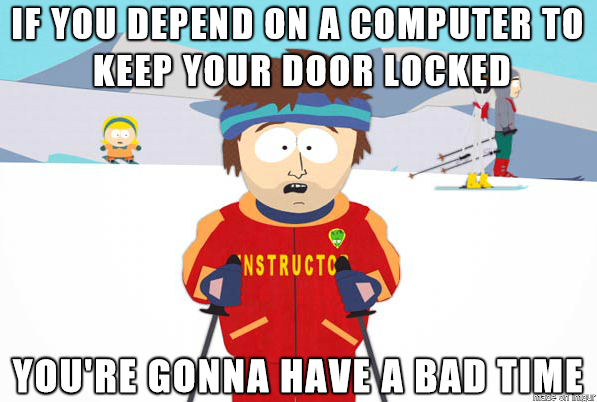 You need to be able to open the door but you also need to be able to prevent others from doing so. If you can't get in you may be less secure as a result. If everyone can get in you may be less secure as a result. If there is no good failure mode, the possibility of failure should not be accepted. The scary thing is, a 10 year old girl isn't even the youngest child I've heard of being subjected to a "pat down" at an airport terminal, and because of the nature of the touching, the outcome is often pretty bad. 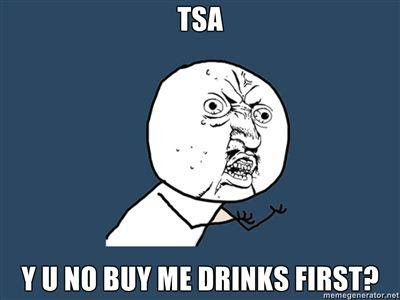 Don't bother trying to figure out what the TSA is thinking, though - they aren't. 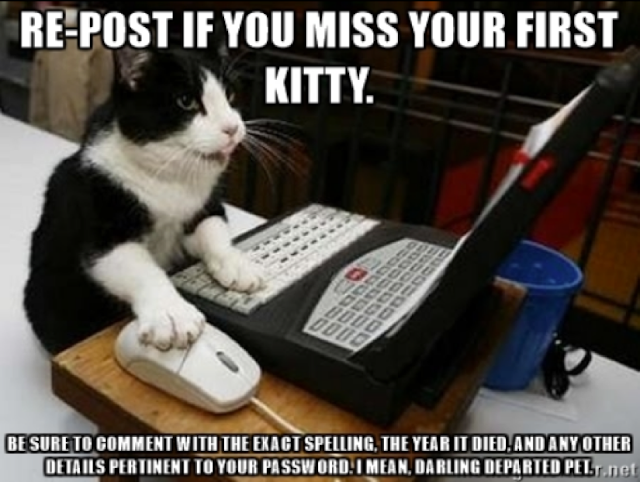 I don't know about you but I find that remembered phrases are prone to slight alterations that have little bearing on the meaning of the phrase but make a computer completely fail to match them against the reference phrase that was entered months ago. 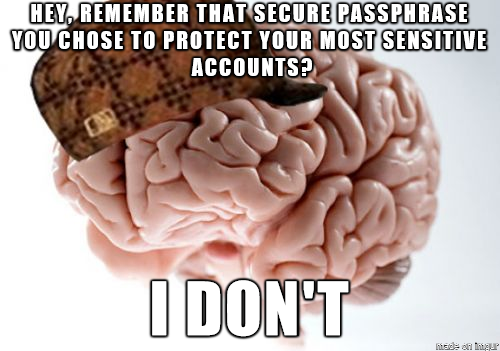 That's a problem with passphrases that I rarely hear anyone talk about. 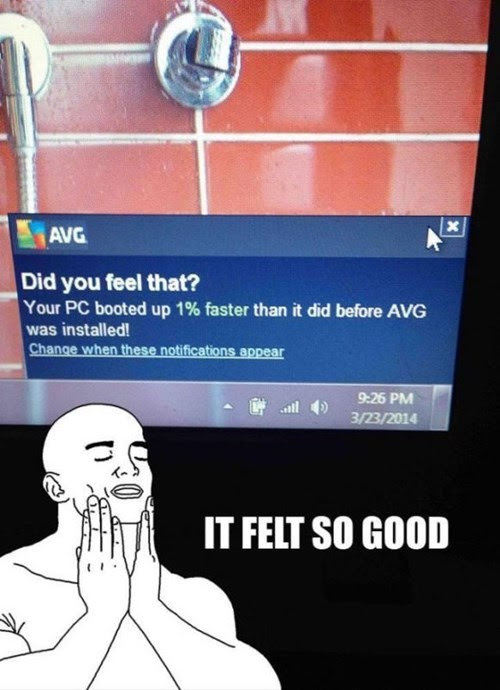 Could someone explain to me what AVG is supposed to be doing? 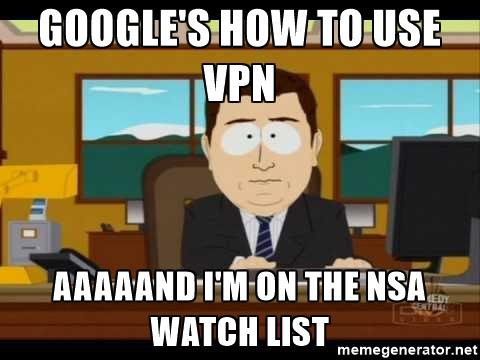 Are they supposed to be making us feel more secure or are they supposed to be making us feel more productive? Because I'm pretty sure booting up 1% faster (who can even tell that?) has precisely no impact on feeling more secure. 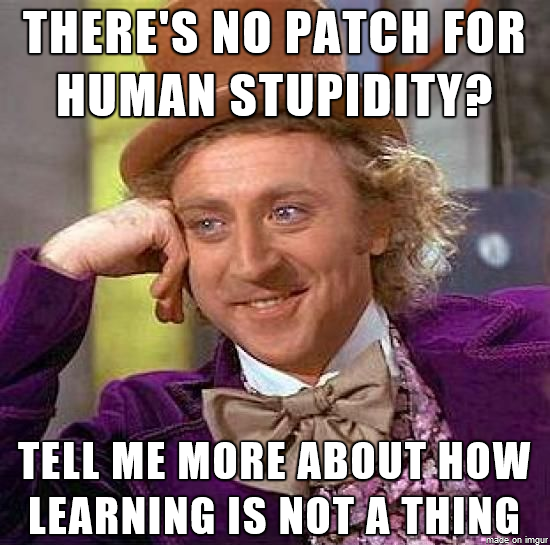 The catch phrase "There's no patch for human stupidity" is a fairly successful meme within the information security community, but that doesn't make it good. It's actually exotoxic in the sense that it implies that it's not worth the effort to pass on knowledge to people who don't already have it, thereby denying those people the tools with which they could better control their outcomes and by extension thrive. The fact that we aren't still living in caves proves that it's not just special individuals who are capable of learning but in fact the entire human species as a whole. F&@%ing doors, how do they work? 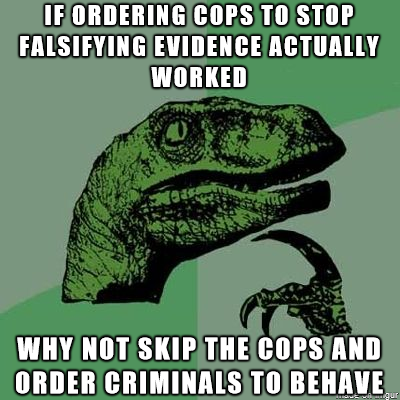 That must be a question that plagues this would-be criminal. I'm sure he lies awake at night in his cell wondering what he could have done differently (although he appears to get away, it seems unlikely he stayed out of the grasp of the long arm of the law). The fact is, when researchers market the vulnerabilities they discover, they're really marketing themselves. More and more these days security seems to be about satisfying personal needs rather than actually making things more secure. I mean, if they're going to be sticking things there without a normal lubricant, at least they could try a social lubricant. Normally I'd say something along the lines of "I have no idea what this person was thinking" except the journalists who covered this made sure to include that part. The guy was just looking to get home. That's right, he planned to drive a stolen cop car to his house. Not like having a stolen cop car outside your home to point the finger at you. 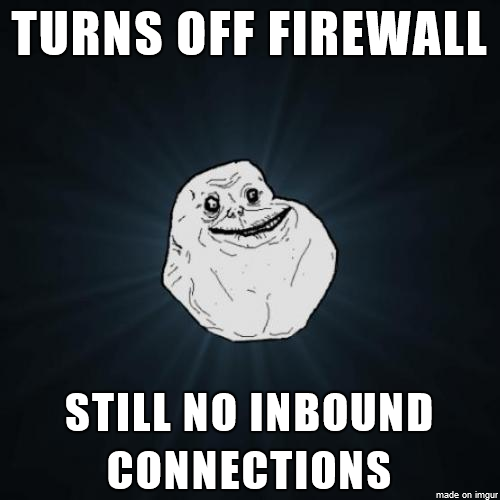 This is one of the reasons I use a different disposable email address everywhere I go. 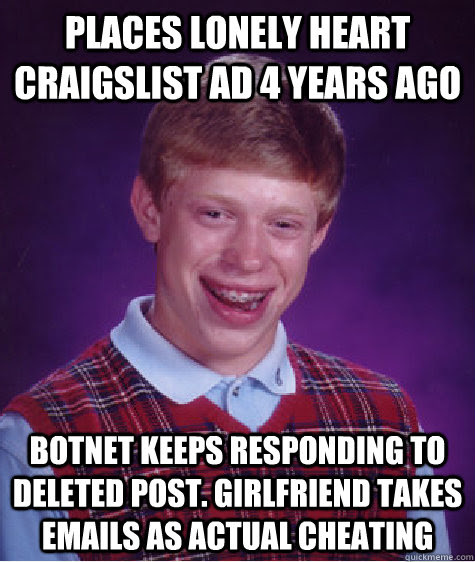 Not because I have a relationship to protect, or because I post lonely heart ads online, but rather because I know that emails occasionally get harvested by spammers and I want to be able to turn off the spam without losing my real email address. The point of burner phones is that you dispose of them often so that they can't leak information about you or your operation. 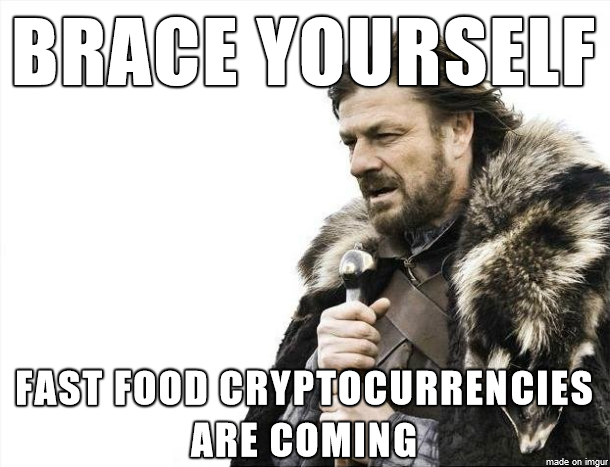 Chances are you'll need many of them and so they'll have to be cheap. 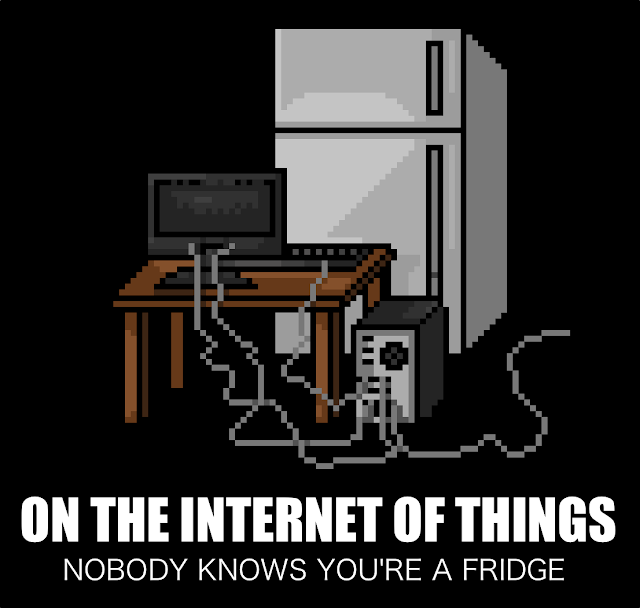 One wonders, though, at what point does a cheap phones itself cause people to become suspicious. 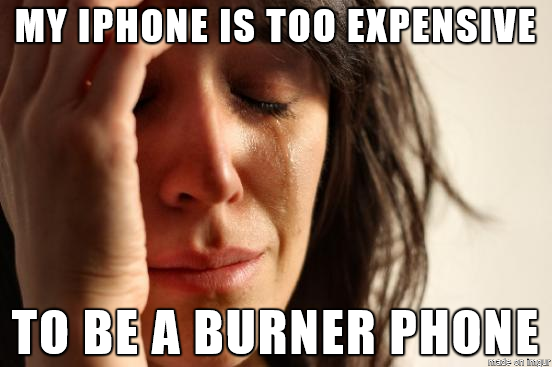 I'm sure some people are able to use iPhones as burners, but they'd have to be part of some well funded group (perhaps working for a government). An excellent demonstration of why blindly using security controls without knowing how they work or whether or not they're suitable to the environment you're using them in is not a good idea. As someone who spends most of their non-work time alone, I think I would like to be so unpopular that attackers wouldn't bother with me. That seems like a silver lining I could get behind. This is actually a really good use of the Everyone Loses Their Minds meme. If you're familiar with this scene in the movie then you remember him talking about 'plans'. 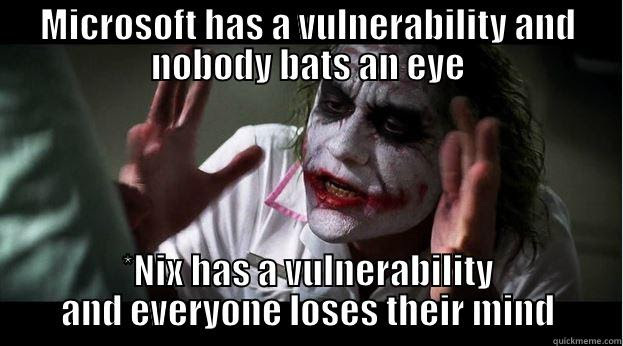 Microsoft having vulnerabilities is definitely part of "the plan". It's what people expect. There was even a plan for addressing those vulnerabilities once a month, as regular as clockwork. 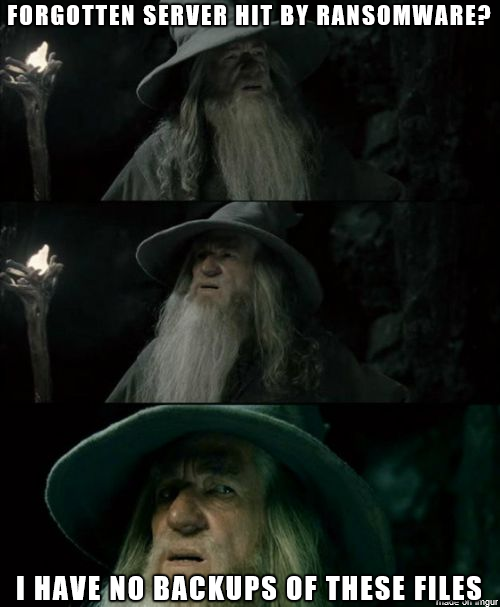 Unix/Linux/etc having vulnerabilities? That's not part of the plan and for those that are affected by it, it is definitely something that raises their anxiety level (maybe even to the point that they lose their mind for moment). There are certainly those who believe AV should be abandoned altogether and cite their own experiences not getting compromised while not using AV as evidence. 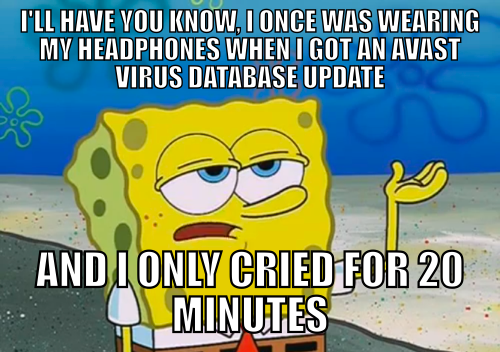 But those are merely anecdotes and they don't reflect the fact that part of what keeps those people safe is all the other people who ARE using AV and making it harder for malware to flourish long enough for those who aren't to be exposed to it. In biology this is called herd immunity. It only works so long as a certain minimum threshold is maintained and telling people to abandon their AV threatens to bring the number down below that threshold and make things worse for everyone. 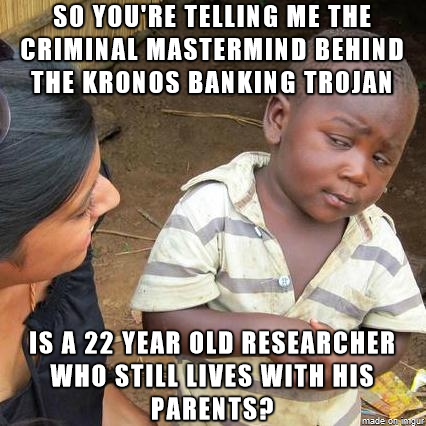 I don't know about you, but I think if I were responsible for a banking trojan, especially one that managed to make it onto the authorities radar, then I'd have enough money to get my own place. 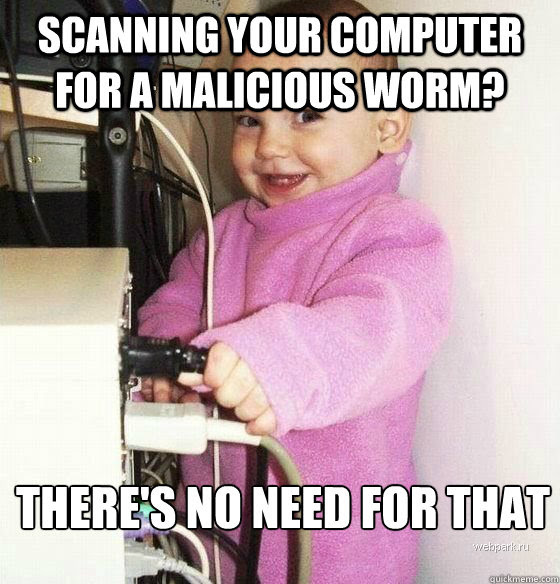 Malicious software won't be a problem anymore if you remove the power. Not being able to use the computer for anything is a bit of a problematic side effect, though. At least their boss is doing something to curb this abuse of trust the authorities are committing, even if what he's doing is a bit ridiculous. Nobody said staying one step ahead of the authorities was going to be easy. Yes, this is a real thing that happens. 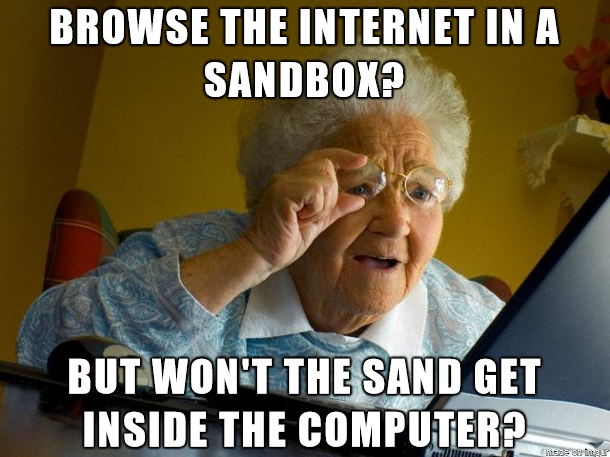 People think they know better than their AV vendor what features should be enabled. The problem is most people don't actually know how AV works, so their choices are uninformed and eventually harmful in the long run. 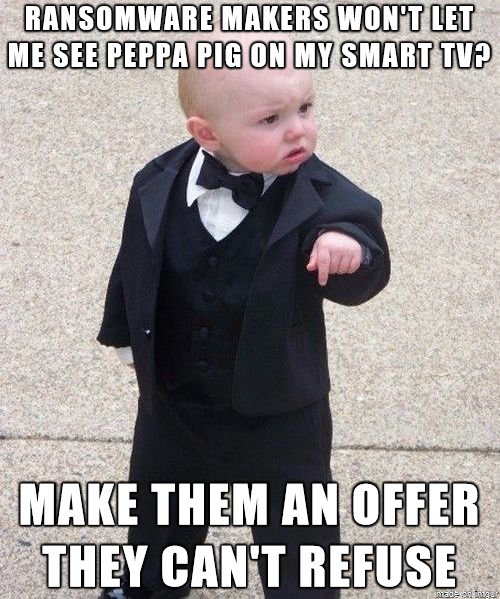 Does this meme look familiar to you? The text is identical to this one from years earlier but the art work is clearly superior. I approve. 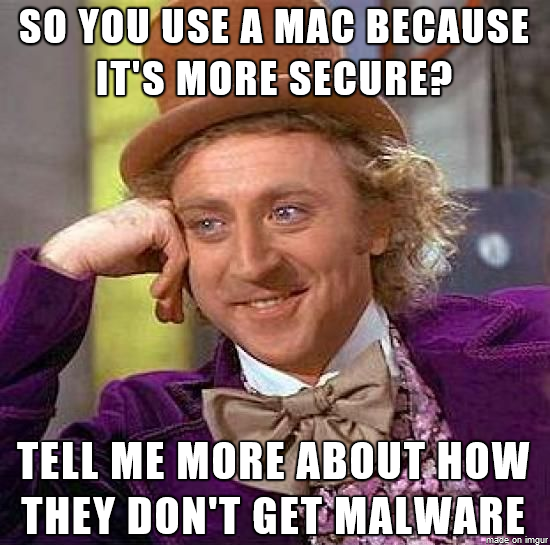 Every time there's another piece of Mac malware in the news the Apple faithful go through mental gymnastics to explain (perhaps to themselves) why that one doesn't count. I wonder what they'll come up with for this new one that's apparently been going on for years. 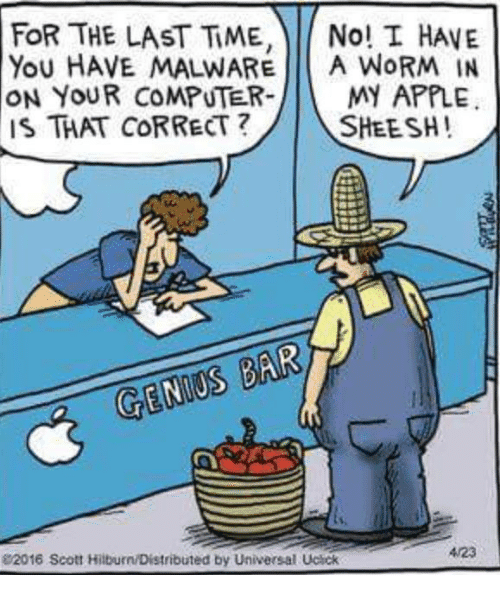 I have a feeling the "genius"es in the actual Apple store are probably trained not to come up with that interpretation specifically because they don't ever want to give the public the idea that Apple computers get malware like PCs do (even though they do).